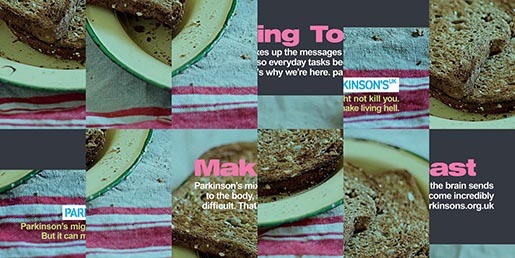 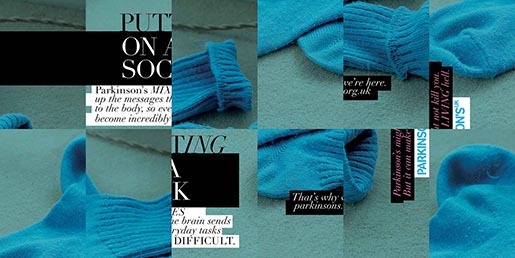 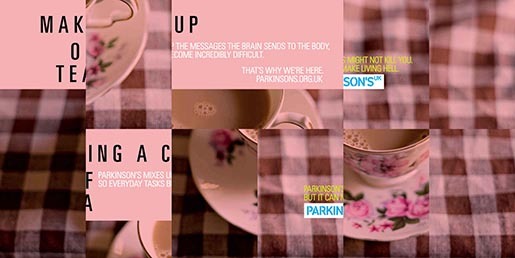 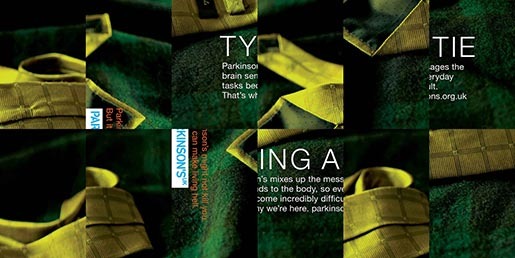 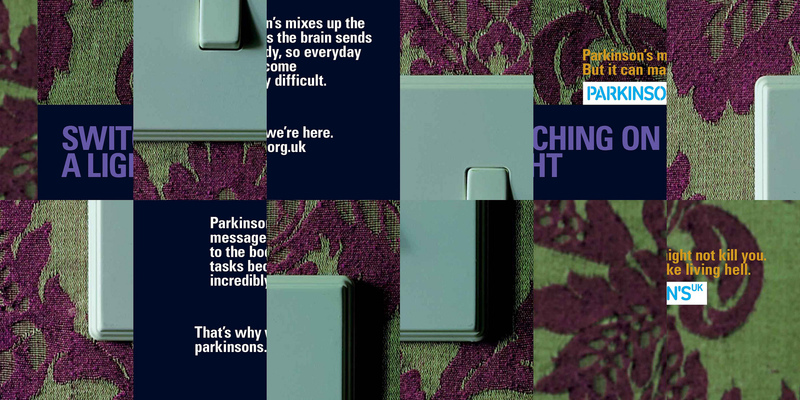 Parkinsons UK ran an outdoor and print advertising campaign in 2012 featuring everyday activities which can become difficult for people with Parkinson’s. Billboards and newspapers advertisements take everyday images and mix them up, showing how Parkinson’s can affect the messages the brain gives to the body. 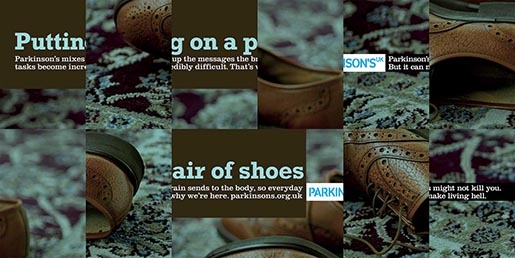 The campaign included rail advertising supported by digital & social media. 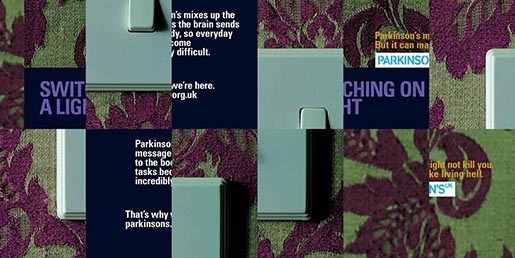 The Parkinsons UK campaign was developed at The Assembly Network, London, by creative director Steve Dunn, art director Alexandra Taylor, copywriter Sean Doyle, planner Trevor Hardy, executive producer Tina Woods, designer Stuart Harrington Gill, art buyer Choi Liu, photographer Dan Matthews, working with Val Buxton, Lily Dwek and Steve Ford at Parkinson’s UK.